1.1.1 Participatory financing, what's that? 1.1.3 What are the risks? 1.1.4 How much can I earn? 1.1.5.1 The rates of return are very high, is this legal? What is cache? 1.1.5.2 To have 10% of profitability what should I do? 1.1.5.3 Why the "oranges" projects are there subject to lower earnings even though they are longer? 1.1.6 How much should I invest? 1.1.7 What are the costs? 1.1.8 When am I paid? 1.1.9 We propose what exactly, there are 3 types of projects, you can create more detailed? 1.2.0.1 What is the difference between a requirement and an action? Why I am not associated? 1.2.1 What are the fundamentals of Hexagon? 1.2.3 How I invested with Hexagon? 1.2.4 How are selected folders? 1.2.5 Why Hexagon does not guarantee projects? 1.2.6 Why projects are ls than in real estate? 1.2.7 What is the proof of my investment? 1.2.8 Where does my money go? 1.2.9 How am I paid? 1.2.10 What are the conditions precedent? 1.2.13 Why not give you advice on the best deals? 1.3.1 Can I benefit from the TEPA scheme to reduce my taxes? 1.3.2 What is my tax? Is can I exempt from taxation? 2.2.1 What are the fundamentals of Hexagon? 2.2.2 How are selected folders? 2.2.4 How much would it cost t – it? 2.2.5 What are the conditions to provide a folder? 2.2.6 Where can I suggest his candidacy? Hexagon invests on the projects of tomorrow. Participatory financing or Crowdfunding is a method for financing projects by a wide audience via the Internet. 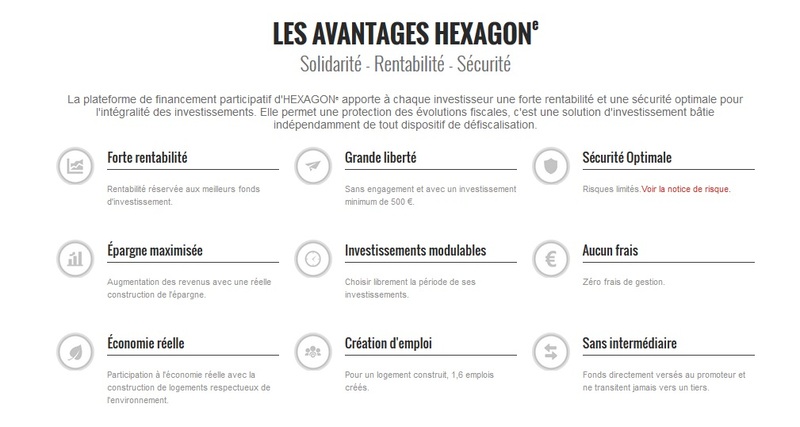 Hexagon is a platform of participatory financing. Our prime area of intervention is the construction and real estate development sector. France wishes to allow you to combine economic development and sustainable development. A new construction of housing deficit aggravates the difficulties of access to a decent habitat for a large number of homes. New dwellings are less energy and participate fully in the preservation of our environment. On Hexagon you have three types of projects, from 6 to 60 months for 10% maximum. With Hexagon you invest in unlisted bonds and convertible to fixed rate. This profitability is normally reserved for the best investment fund but is now at your fingertips. Because it is a real increase in your revenue with real savings unlike your bank construction. You thus participate in the real economy with the construction of environmentally friendly housing. Real estate is long-term, and this is always good, because thinking only short term is usually catastrophic. Hexagon allows great freedom with a minimum investment of € 500 only. Funds are paid directly to the proponent and never pass to a third party. Participatory financing or Crowdfunding is a method for financing projects by a wide audience via the Internet. Investors who wish to fund a part or a set of innovative projects. The harvest of donations or contributions that could give rise to various counterparties (financial or otherwise). Financing of projects through loans with interests or not. The financing of an entrepreneurial project via the subscription of securities. As always, the maximum risk is the loss of what you have invested no more than. Investments are made through a convention bond. Your salary is guaranteed a fixed and determined manner. Your liability is strictly limited. The hexagon platform supports projects owned and unlisted private companies whose investments are subject to the vagaries of economic, legal and commercial. Despite the reliability of the projects proposed by the hexagon platform, there may be potential risks. The investment period may vary according to the course of the projects. The liquidity risk is for a promoter to not be able to pay its liabilities with its liquid receivables. The liquidity risk is a risk that affects the life of your investment, it can exceed the contractually defined. The presence of a security right is not an absolute guarantee. Firstly, there are the legal conditions for implementation that can reduce interest, the scope or the base for safety. On the other hand, a security backed by a tangible asset is also subject to economic conditions of valorization of the asset during its realization. The majority of the projects are analyzed with care thanks to a high transparency of real estate projects proposed as well as promoters. The distribution of investments on different projects allows a reduction of a potential risk. However, it is possible that an investment does not lead to due to a breach in the conditions of validation of groundfish surveys. In this case, capital invested are refunded in full without management fees. The carrier company's projects can be found in economic failure causing the total or partial loss of invested capital due to the excitement of the french economic market. Indeed, the housebuilding market decreased by 6.2% in the last quarter 2014 (1). What is the risk on an operation? Business risk: we adopt programs with a pre-marketing to less than 50% (excluding the case of investments against guaranteed by a security, and in the case of phasing on the relevant instalment). The technical risk: we check the technical conditions (conditions for obtaining of technical insurance communication). Financial risk: a minimum coverage rate of 75% of the program is imposed. The risk of morality: we select professionals with significant experience. If the General mechanisms and the fundamental programs are identical, each program is specifique.l' location, the economic context, the companies selected, the quality of the architect and the contractor are elements of differentiation. Hexagon invites you to participate in the real economy without taking any risks on your capital. 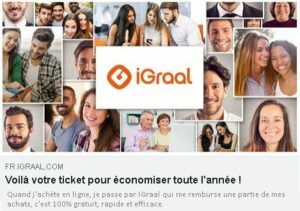 Indeed for the first time a guarantee to 100% of the invested capital is proposed to you. The implementation is simple, on the basis of your investments, you post the amount that you have collected on all of your investments, if this amount is less than the amounts invested, you are refunded the difference. There are no conditions relating to the situation of the project promoter, or the causes of the failure. -You voluntarily make the choice of the benefit of the guarantee. -Offered coverage is capped at €300,000. -You need to spread your risks over 10 projects in the next 24 months, almost uniformly (being sure not to exceed 20% of investment on a single project). If we do not offer you at least 10 projects eligible for this warranty, it will be the number of present projects which will be retained. In addition our partner wiSEED will also this mechanism of guarantee for certain projects, and the count of projects will be common to hexagon and wiSEED platforms. The cost of the warranty is levied on the earnings of your investments, it costs you 2% of the amount guaranteed per year. So on a paid operation 10%, you only will earn only 8%. The rates of return are very high, is this legal? What is cache? What explains this high rate this is the mode of operation. We made the choice to be 'low cost', we have drastically limited our operating expenses to ensure that investors receive the best possible compensation: we perceive no commissions on your investments. Our economic model is based on the recurrence of operations and on the loyalty of investors. As we describe it, risk factors exist, and despite our effort, it is still possible that a project does not lead. That is why you get a significant remuneration. Our mode of operation 'low cost '. We participate in the movement of banking disintermediation, the promoter pays you directly, without maintaining banking activity. This remuneration is legal, it is contractually stipulated. To have 10% of profitability what should I do? Just do all of the sums invested on all the programs you have selected, what determines your investment stocks. If it is greater than €100,000 you will be paid up to 10% for all projects 'green' and 'blue'. We draw your attention to the fact that it is a significant sum. We recommend that you allocate the most possible your investment and our risk manual. Why the "oranges" projects are there subject to lower earnings even though they are longer? "Oranges" programmes are systematically against guaranteed by a security at minimum height of 130% of the capital of the fundraising. Implementing this security brings great security to the investor but it stops the project bearer heritage and has a cost. Therefore, that these projects are less well-paid. The site is rather nice, only € 500 euros is enough. Importantly, are there not. It's great not? We propose what exactly, there are 3 types of projects, you can create more detailed? Investment fund projects of quality throughout the construction and property development sector. Hexagon offers optimal security on your capital investment. Participatory funding related to research, study and development of real estate projects. The guarantee amounts to 130 minimum % of invested capital and consists of a security (mortgage, collateral). The duration of the project is 24 and 60 months. The benefits are 5 to 7.50%. Land acquisitions to build participatory financing. The guarantee amounts to 100% of the invested capital and consists of a mortgage. The project duration is from 6 months to 36 months. The benefits are from 5 to 10%. Participatory financing in real estate construction projects. The security consists of a "rate of coverage (1)" minimum of 75% of the cost of returns and "level of minimum offtake (2)" 50% (3). The supported projects are eligible to the benefits of the technical insurance and guarantees. The project duration is from 6 months to 24 months. (3) this investment is secured by the application of underwriting criteria to the professionalism of the promoter / constructor and mounting and the coverage of the programme standards. Definition of obligations: A bond is a security constituting a representative claim title to a loan. Eligible for bond, the obligation yields is transferable. In the case of a private placement (unlisted bonds), the terms of the securities are defined in a contract of issue (or subscription agreement). A bond is a financial instrument issued by a Corporation (the 'BEARER of project' company), who receives a certain amount of money on the part of the holders of securities on loan. A bond is therefore a debt obligation, that is, it represents a debt, repayable at a date and a fixed in advance, amount and who reported an interest. Bonds issued are unlisted: they are not the subject of a quotation, in the event of anticipated disposal, their value is set by mutual agreement. What is the difference between a requirement and an action? Why I am not associated? An obligation operates on the same principle as an acknowledgment of debt, while an action represents a share of the capital of the company. The course of an action depends on the fluctuations of the market and is not known in advance. The value of the action can increase but also lower. For a fixed-rate bond performance is known in advance. The issuer undertakes to purchase fixed-term value, a full refund as well as the maturity, defined in advance interest. Compensation is defined in contractual fixed-rate. Most construction projects are carried out in liability companies indefinite, to limit the risk of investors, put in place a "BEARER of project" limited liability company, the chosen legal form was simplified stock company. Do not have the status of associate makes to limit your personal obligations and your liability, and enjoy a fixed rate compensation determined. What are the fundamentals of Hexagon? A program is a clear, defined, project you want to achieve. The fundraising goal is the amount of funding required for the implementation of the programme. The bearer of the project is the legal entity, the legal entity, which will ensure the practical implementation of the project. Investors are those who committed funds to enable the realization of the project. Remuneration is the counterpart to the assistance provided to the project. All the programs offered by Hexagon are for-profit construction projects. We hope that investment are directly involved in the real economy and concretely participate in the creation and safeguarding of perennial and skilled jobs. Several projects are funded through hexagon. Each project is independent and is unique to a specific promoter. Each promoter is fully responsible for the implementation of this programme. All of the programs was the subject of weeks, or even months, research, work and design. When the promoter feels able to complete the project, it can offer to hex, who will accept it if the selection criteria are met, the program with consistent characteristics ensuring their implementation and sustainability. How I invested with Hexagon? First you must register, complete different questionnaires and return us the mandatory documents (copy of ID, certificate of domicile and tax notice). You are then able to choose your investments. Hexagon you then transmits the contractual documents (bulletin of subscription, contract bond and regulatory information document.) You don't have that to print, sign and return these items to France, accompanied by the RIB of the account on which you want to be reimbursed your capital and your compensation. From this return, you can still retract you for 15 days. If you have maintained your choice, you can then pay the funds on the account for the project. We use only professional promoters who have several successful implementations. We systematically meet promoters and collect a set of documents to ensure their seriousness and their involvement. On the real estate programs we apply a series of stagecoaches to validate all the conditions, technical, legal, commercial and financial. The operations (financing of programme) presented benefit minimum of financial cover up to 75% and are pre-vendues (reserved) 50% to start. How much will you it cost me? For investors Hexagon costs nothing: there is no management charge or no charge at any time. All of the costs of benefits of Hexagon is supported by the project promoters. For the promoters pay for Hexagon depends on the implemented service contract. If I invest several times, is that 'active' investment count in my stock? 'Active' investment IE those for which you returned the bond agreement and are not yet reimbursed, count in your stock of risk. If you invest €10,000 on March 5, then €15,000 on 17 July, your stock will be awarded remuneration of 7% (green or blue) for programs in March and for a payment of 8% (green and blue) for programs undertaken in July. Editor's note they are so cumulative on new projects not for the old, I'll go put the question directly to Hexagon. Why Hexagon does not guarantee projects? Hexagon is a platform of financing, we do not directly interfere in the operations and have no vocation to get involved in projects. HEXAGONe was established to provide a new alternative linking entrepreneurs to investors. Traditional financing offers (banks, investment funds) are motivated by risk aversion, and the speed of the profits, and good number of projects, job creators, and creators of housing cannot be achieved. Our offer is based on the seriousness and on the quality of the projects of entrepreneurs, and secondly on the freedom and the responsibility of investors. You only subscribe to one or several operations that you choose freely, after you recover your capital and your compensation. You are free to return or go, there's no management fees, hidden costs. Why projects are ls than in real estate? Beyond the own creators of Hexagon genetics, we have chosen to intervene mainly in the construction sector because presented operations are defined, clear and based on tangible assets. You can see the field, check the evolution of the construction, and marketing, a simple and obvious way. It is also a sector in which we have acquired a form of expertise that allows us to select appropriately proposed records. What is the proof of my investment? Your investment will be formalized by a bond agreement that makes State of the invested amount, your right to remuneration determined fixed-rate, and your rights. Your money goes directly to the account of the project promoter. When you receive investment contracts 'contracts bond' you will be communicated the RIB of the account Bank recipient opened by the project promoter. Reimbursement is made directly from your bank account, you give us the contact details of the recipient of the refund account during the signing of the bond agreements. In case of problems, coordinates change banking, funds will be deposited into an escrow account, while you communicate us references updated. What are the conditions precedent? Fundraising-determining conditions, they are verified. A document attesting to the lifting of these conditions is communicated to investors. Failing the fundraiser is cancelled. When a difficulty arrives, it is expected that project communicating the elements on the timeline of project monitoring (monitoring tab of project) informing you of the elements specific to the difficulty and the measures taken to resolve. In construction it is common that events delay the implementation of the programmes, it may be weather factors, technical factors, or other factors. It is planned according to the nature of the project funded, different approaches, either with regard to the safeguards put in place, relating to the management of the project. For investors, one of them, representing the mass of investors, will be the privileged partner of the contractor in order to secure all of the investors. We believe sincerely, on the one hand we have a great experience of this type of operations, on the other hand it is with our platform that you have made your investments. We want to fill continue to offer this service in the future and our sustainability is based on your trust and your loyalty. We voluntarily insisted on the presentation of the risks inherent in this type of operation, and we have invested to secure you up. Your capital will never pass through us, and we do charge you no fees. Why not give you advice on the best deals? Our role is to present programs in which you have the opportunity to invest. We do not forward some programs, since we determined the feasibility criteria securing programs. Once these criteria are met, it is your choice which is decisive. We are imposed a duty of neutrality, they are your assets and our role is to present the elements of the most objective and transparent way, and under no circumstances incite you to invest in a particular program. There is therefore not in our opinion a better investment, what is certain is that broad distribution of investments on different programs is the key to strong profitability and a controlled risk. What are the safety devices for my personal data, how do you secure payments? Your personal data are used strictly by Hexagon, no data is disclosed to third parties. Modes of payment we made the choice to focus the bank transfer, both when you want to transfer the funds while the repayment of these funds by the project promoter. Can I benefit from the TEPA scheme to reduce my taxes? No, offer Hexagon you cannot benefit from operative TEPA. What is my tax? Is can I exempt from taxation? You can benefit from own pea taxation if you are holder of a Savings Plan in Action and that invested funds are derived from your PEA. Otherwise, you are subject to ordinary taxation. For your personal taxation optimization, Hexagon has no competence to advise you, and if your wish we invite you to contact a lawyer, your accountant, or a wealth management advisor. Professional of the Act of building, looking for capital. Our community of investors Crowdfunding is the solution to your projects. How much would it cost t – it? What are the conditions to provide a folder? Where can I suggest his candidacy? Hex was created by a set of English, Dutch and french partners. The partners are all insurance and building construction professionals. HEXAGON EQUITY accomplishes all the steps for obtaining of approvals PAC and IFP with the AMF and the ORIAS. The formalization of investment intentions being subject to obtaining approvals. Participatory financing platforms dedicated to real estate are increasing, each on a submarket. Hexagon-e presents itself as the first platform of "crowdbuilding", 100% dedicated to the construction and real estate development. The investors do not have to become owners of the property they contribute to build, but they are paid ' net… "
The Crowdfunding is it suitable for real estate? NB er it is not their own site ca? The participatory financing, or Crowdfunding, knows a real success. In recent months, this success extends the financing of real estate projects. Hexagon investments Fund projects of quality throughout the construction and property development sector. Security, the watchword of Hexagon which has two exceptional advantages: the knowledge of the risk and the chosen funding. Then it is necessary to give legal documents: CNI(carte d'identité), proof of domicile and RIB. A simple menu with the essentials, there are color-coded for different projects. Good will analyze existing projects, currently it is a green project (construction) and an orange project (assemblies), and nothing in blue (land). Project Green, let's see what the beast was really in the belly. Family group still led by its founder Mr. Michel PERSYN, the PM3C group was initially specialized in the field of real estate development of tourist residences in rural revitalization (ZRR) mainly in the Alps. The PM3C group has conducted between 2000 and 2015, 7 promotion operations for real programmes of 38 in 221 dwellings, for a total of 786 accommodations. In addition to shops (4 restaurants, 4 sports shops, a small supermarket, 2 balneotherapy centres). As a result of changes in tax provisions reducing the tax benefits associated with real estate investments in ZRR, PM3C group has extended the field of its activity in the social housing sector and has refocused its activity on the Nord Pas de Calais region. The objective of the way the RIHOUR is construction/sale of a housing complex of 79 housing units distributed in three main buildings comprising five floors. 100% of the program is reserved under the regime of the real estate promotion contract with SNC LILLE HOBBIES – a subsidiary of the PIERRE & VACANCES group. The work will begin during the month of may 2016 for a period of 23 months execution (planned dates). The door real estate program on achieving real estate all of 79 units in tros buildings 5 storey located street of the military hospital in LILLE (59), a total of 3 407 m2 of floor area / 2814 m2 area. Your investment will be realized through a loan contract. The estimated duration of this loan is 12 months. anticipation without penalty to the sponsor from the 3rd month. The loan contract will be available online beginning April 10, 2016 – the closure of the operations of collection of intentions is set to May 1st at midnight. The success rate of collection is planned at 80% of the collection target. The implementation of funds will take place from May 1 to May 10, 2016. The borrower is the way the RIHOUR RCS No. 801 080 723 dedicated legal structure specific to this project. The loan will be repayable in a single maturity, including the whole of the capital and the payment of interest. WARRANTIES: 2 guarantees to first request for an amount of €242,000 on PM3C and MP COMPANY. Orange project, let's see what the beast was really in the belly. Born into a family of entrepreneurs (two generations) in the building, I work with of my youth construction sites with my father. I opt for military training (mobile gendarmerie in Versailles Satory for seven years). I decided to leave my post to join the family company (trading in paint and decoration products) where I served as a commercial. Subsequently, I take my flight and become a shareholder of a company of plastering painting that essentially achieves new buildings in the tertiary sector (Vinci, SPIE Batignolles, Bouygues group). Attracted the real estate sector since my childhood, I become head of sector within the estate agency Solvimo in Ecully. I take in charge the municipality of Tassin-La-half-moon. My various experiences in building and real estate sectors lead me to create my first real estate development company with partner the former technical manager of the company Adim (developer real estate of the Vinci Construction Group). 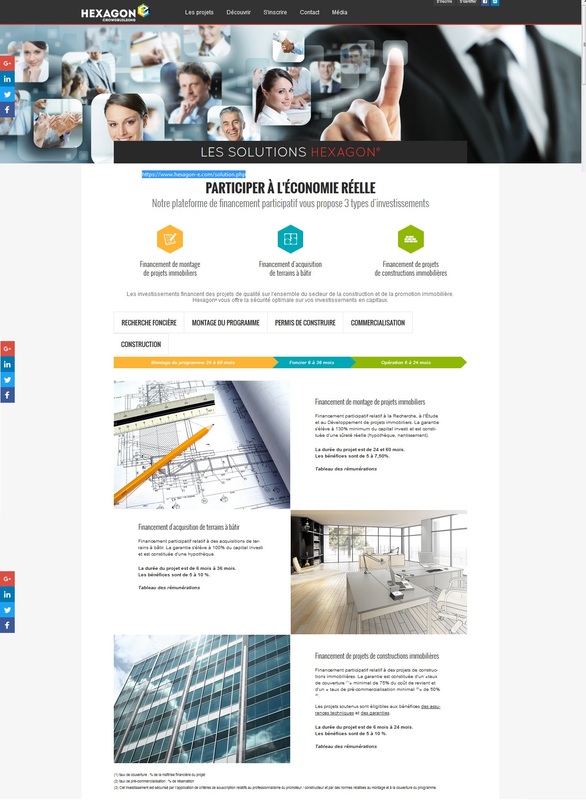 After launching two projects (10 accommodation in Reignier-Esery and 9 accommodation in Etrembieres), I decided with my wife, management controller, start our own family company. Thus, we present to you our first program: "Lena Villas" in Cranves-Sales (74). Two other projects will emerge very soon. Gaëtan DORI – President of SAS ACG PROMOTION exercises the activity of promoter for more than 3 years. Former policeman, from 2003 to 2010 with participation in external operations (Operation Licorne in Côte d'Ivoire). DORI participated in 10 and 8 housing estate two programs editing. End of 2015 he joined Mrs DA LUZ – DORI to create its own structure promotion SAS ACG PROMOTION. In charge of the installation of construction programs since the land research, the definition of the program and its commercialsiation. Ms. Anne-Christine DA LUZ – DORI, Executive Director is in charge of legal, financial and administrative aspects of the programmes. ACG PROMOTION plans to carry out two projects: A program of 7 villas in Marcy l'Etoile and 5 villas in Etrembieres program. Cranves-Sales is a commune in the Department of Haute-Savoie. It is located on the slopes of the massif of the Voirons and is part of the metropolitan area Annemasse-Genève enjoys it infrastructure (airport, TGV train station, Autoroute Blanche,…) but also the facilities (hospitals, clinics, museums, high schools, colleges,…). Its geographical position in the heart of the Department puts within reach of hand Geneva and the Lake Geneva, the Italy through the Mont Blanc tunnel and all tourist resorts (Annecy, Evian, Thonon…) or winter sports (Morzine-Avoriaz, les Gets, Flaine and grand Massif…). The clientele targeted by this program is composed of first-time homebuyers, and frontier workers working in Switzerland in the canton of Geneva. The building permit is being investigated by town planning services. In technical terms the project is located on flat parcel near taxiway, which ensures the project a special easy constructability without technical difficulty. The loan contract will be available online starting April 13, 2016 – the closing of operations of compendium of the intentions is set to May 1st at midnight. The success rate of collection is planned at 80% of the collection target. The implementation of funds will take place from May 10 to May 20, 2016. The borrower is company ACG PROMOTION SCR No. 817 826 548 this project-specific dedicated legal structure. Good then level of documents is rather well, there what is needed as information. An interesting site, especially if you have a good capital.